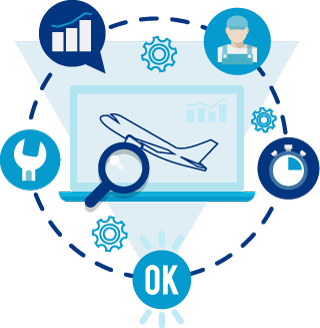 The AIRMES project focuses on optimising end-to-end maintenance activities within an operator’s environment. 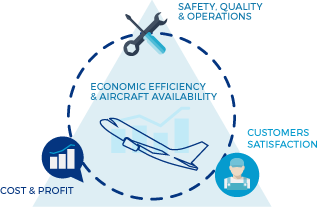 It will develop and validate an innovative, state-of-the-art, integrated maintenance service architecture that will be a key step in achieving the goal of no technically-induced aircraft operational disruptions in European air traffic. These activities will be performed within the scope of the Large Passenger Aircraft (LPA) Integrated Aircraft Demonstrator Platform (IADP) of the Clean Sky 2 (CS2) Joint Undertaking (JU). Reduction of technically-induced operational disruptions. In Europe, 5.8% of all flights are delayed due to direct aircraft technical causes and consequential delays on subsequent flights; the cost of these disruptions is estimated at 2.8 billion € per year. 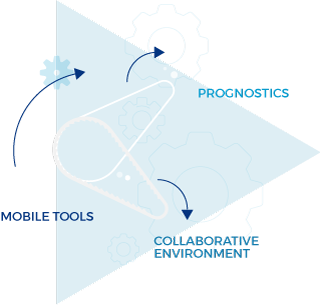 The service architecture will be structured around an operationally focused collaborative environment IT platform, integrating multiple functionalities and it will accelerate the shift in European aviation, from scheduled maintenance to condition-based maintenance. 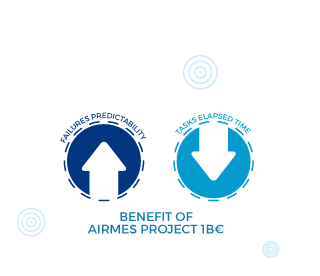 By reducing Operational Disruptions, reducing the average delay time and improving aircraft utilisation, the overall business benefit of this project will be around 1 billion €.